The wildebeest, also called the gnu is an antelope of the genus Connochaetes. 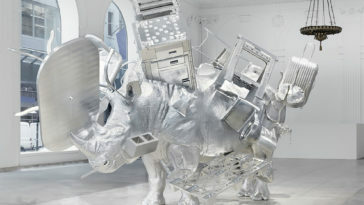 It is a hooved mammal. Wildebeest is Dutch for “wild beast” or “wild cattle” in Afrikaans (beest = cattle), while Connochaetes derives from the Greek words κόννος, kónnos, “beard”, and χαίτη, khaítē, “flowing hair”, “mane”. 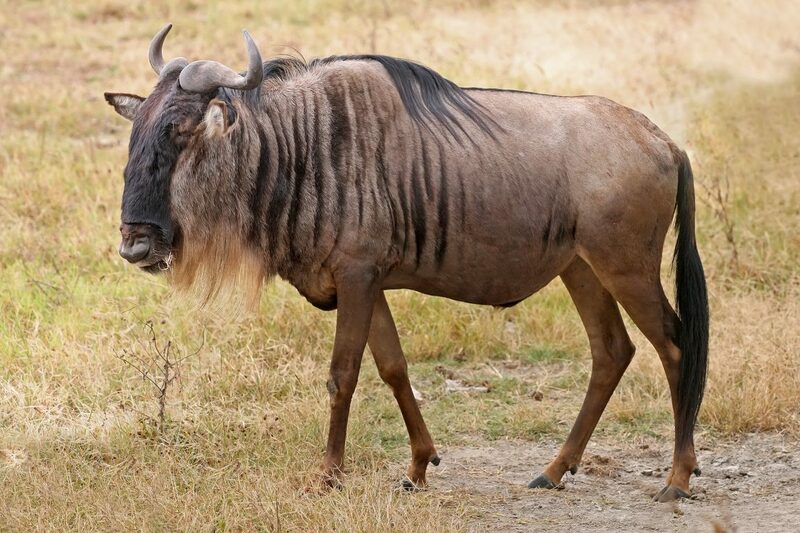 The name “gnu” originates from the Khoikhoi name for these animals, gnou. Gnus belong to the family Bovidae, which includes antelopes, cattle, goats, and other even-toed horned ungulates.